Once again, I had the pleasure of attending a screening for a film I knew absolutely zero about. 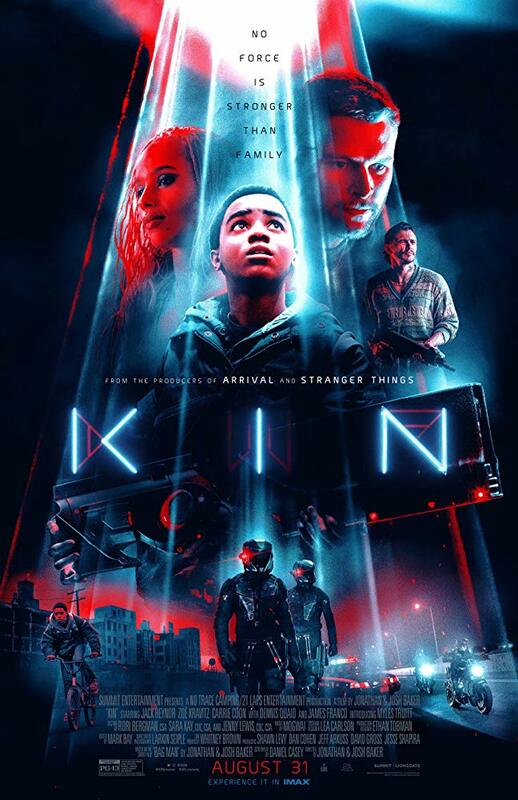 Aside from the sci-fi poster art featuring several characters (including a teenager, a seedy-looking James Franco, and a pair of Daft Punk-esque players) I truly had no clue what KIN had in store for me. I am happy to report that my ignorant bliss paid off this time as I thoroughly enjoyed this cool, high-concept futuristic drama about family, loyalty, and hints at an entirely more grand-scale context. Elijah (Myles Truitt) is a quiet young man who is mourning the loss of his beloved mother. 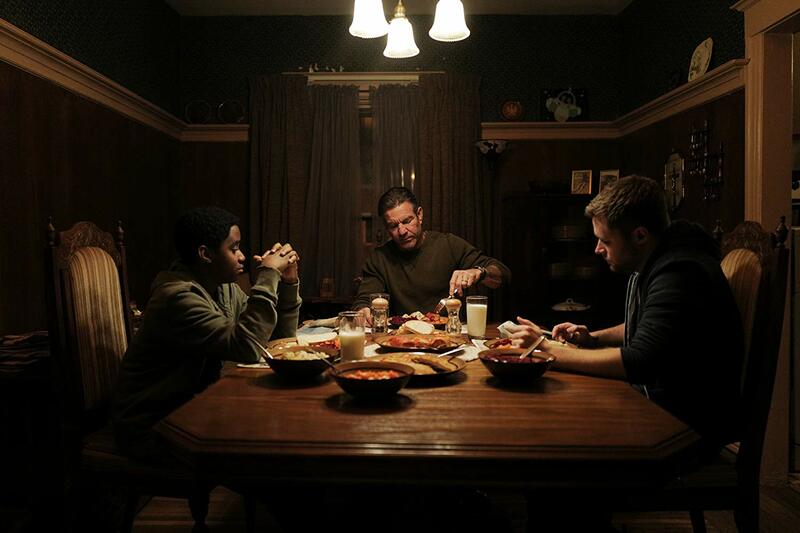 Despite his gentle demeanor, Elijah has difficulty staying out of trouble with his peers and has recently been suspended from school- much to the chagrin of his father Hal (Dennis Quaid). Hal is loving, strict, and desperately trying to keep Elijah from following his older brother’s footsteps which landed him in prison. 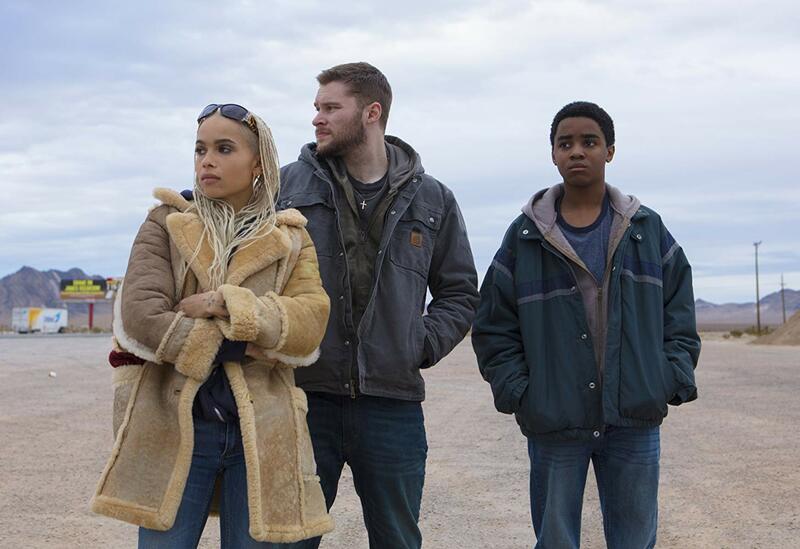 When big bro Jimmy (Jack Reynor) returns home after completing his sentence, family tensions amp up as it becomes clear that his criminal past is not yet behind him. Some very bad guys are after him to settle a debt, and his situation goes from bad to worse as his attempt to pay off the gangsters goes terribly awry. As a result of these unfortunate circumstances, Jimmy and Elijah set off an impromptu “roadtrip” to outrun the baddies. 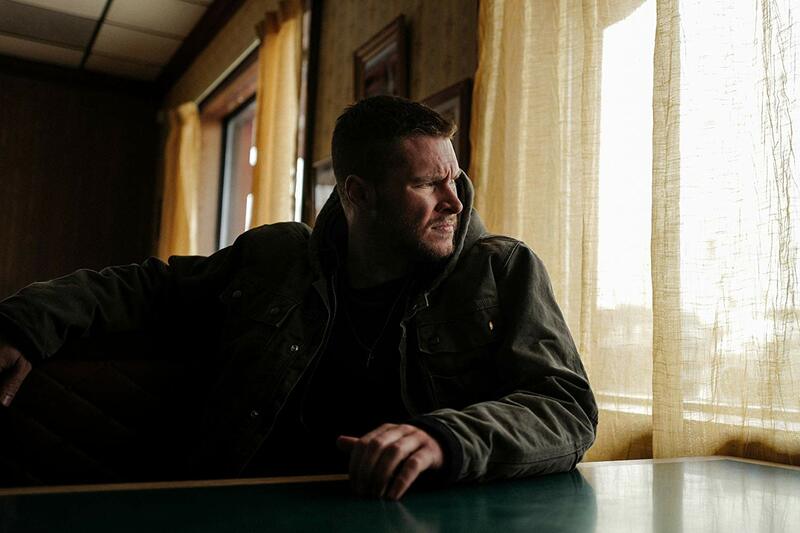 As this crime drama unfolds, however, Elijah has a secret of his own. 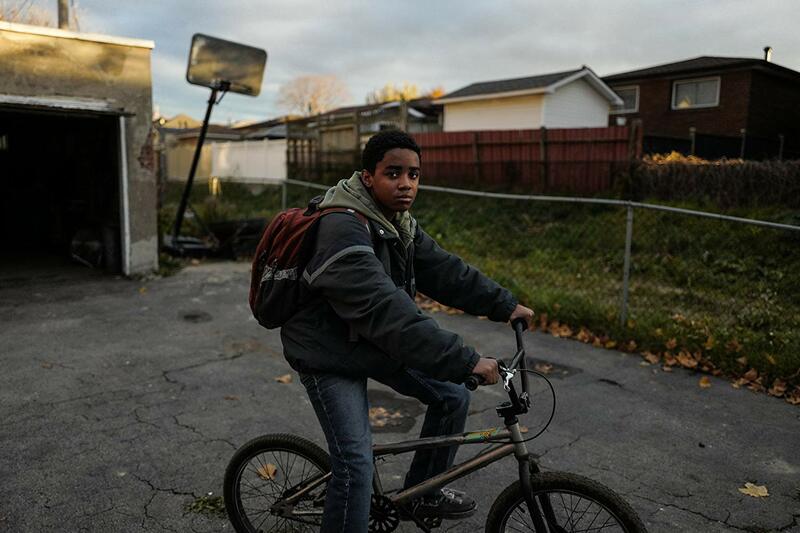 While scavenging at an abandoned building a few days before his brother’s arrival, the young teen discovered a futuristic gun like nothing he’s ever seen before. Choosing to bring his booty along for the cross country trip, Elijah eventually discovers the immense power of the weapon when the brothers find themselves in a tight spot. Let’s just say it has infinitely more firepower than the entire crate of automatic weapons the thugs chasing them deal in. 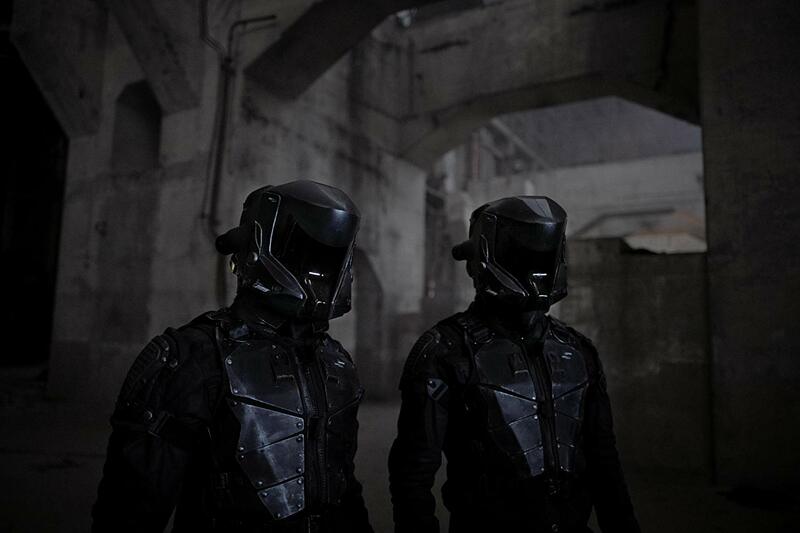 Complicating matters even further is a mysterious pair of aforementioned helmeted soldiers who are also in pursuit of the brothers in order to recover their missing firearm. Aside from these mingling plotlines, there is also a building drama between the two brothers regarding their mutual sadness over losing their mother, themes of abandonment, as well as family loyalty. Yes, there is quite a lot going on in KIN, but that’s nothing compared to the 11th hour revelations that hint at an even bigger behind-the-scenes drama unfolding. There’s a lot to unpack with KIN, and fortunately directors Jonathan and Josh Baker pace the film in a way that prevents all of this information from becoming too overwhelming. The duo also pairs gritty scenery with slick sci-fi elements that nicely balance out the heavy themes. Just when the story starts to slide dangerously toward the melodramatic, the futuristic elements pop in to remind the audience that there’s much more going on here than your average brothers-on-the-run plot. This along with other visually compelling sequences- like a curious owl taking flight from its roost, or a crop dusting prop plane coming in for a landing- also set the film apart tonally from similar fare. An original score by indie “post-rock” darlings Mogwai also helps keep the tempo of the film moving right along. The synthy, futuristic tracks accentuate the overall mysterious vibe of the film without feeling overbearing in the least. Newcomer Myles Truitt is completely convincing as the troubled teen who is reluctantly thrust into not only his brother’s shenanigans, but also a high-concept scenario he could’ve never imagined in his wildest dreams. 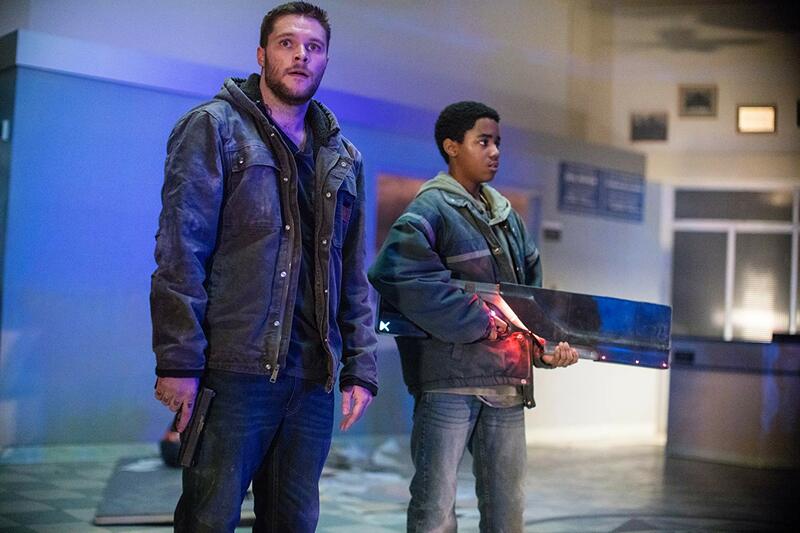 As the ne’er-do-well Jimmy, Jack Reynor brilliantly creates a sympathetic character whose heart is in the right place despite his overall poor judgment. While it’s difficult to understand a rabble rouser who makes such silly mistakes, Reynor manages to make Jimmy likable and believable nonetheless. Zoe Kravitz, as always, is entirely charismatic and luminous, however her introduction into the story lacks any real relevance. While her stripper-with-a-heart-of-gold character is interesting and easy on the eyes, she ends up being utterly extraneous despite such a winning performance. 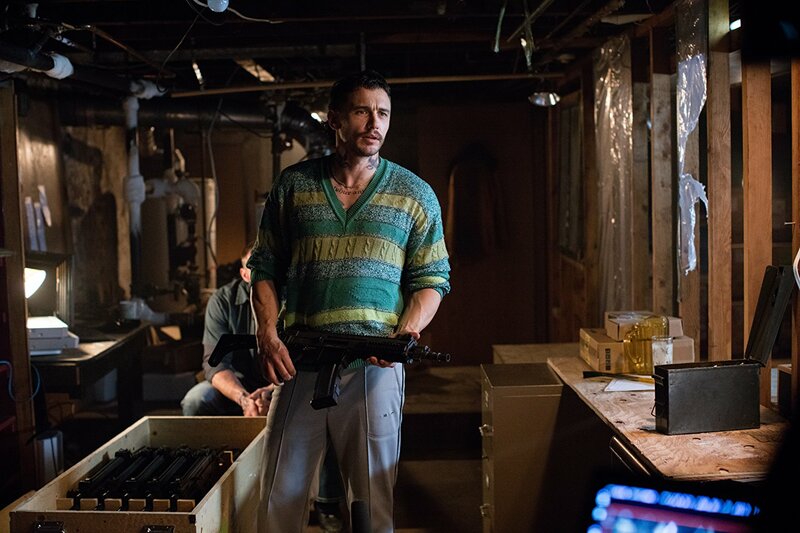 The unmistakable standout of the film is James Franco as the head bad guy Taylor Balik. To say that he goes “full Franco” is almost an understatement as the talented actor maniacally commands every scene in which he appears. He is perfectly skeazy and evil, and I ate up every second of his menacing performance. 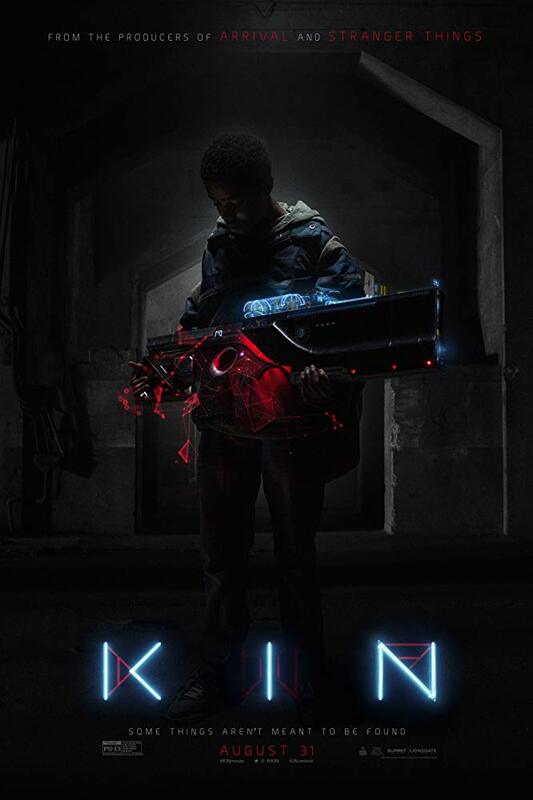 All in all, KIN is a cool, smart, and visually fascinating entry into the sci-fi catalogue. It is slick and high concept without feeling pretentious, and features realistic human drama and conflict that round out an entirely satisfying effort. KIN opens in theaters Thursday 8/30, so go check it out! Thanks for reading.